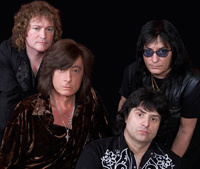 Joe Lynn Turner is playing five three Norwegian dates in September, following in Glenn Hughes' footsteps (or rather making his own footsteps from April) by touring with Deep Purple tribute band Come Taste The Band. A pro shot clip of Joe performing "Can't Happen Here" and "Man On The Silver Mountain" with CTTB in 2011 is available to view on YouTube. Worth a look! The Hardrock Haven website has a new interview with Joe, in which he discusses the new out-and-out AOR Sunstorm album "Emotional Fire", and answers questions on potential plans for other collaborations and projects with Big Noize, Blackmore's Night, Over The Rainbow , the Jan Holberg Project, and the Hughes Turner Project. 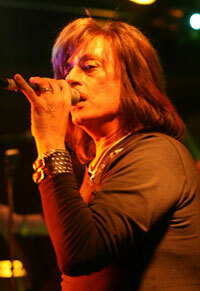 Joe Lynn Turner has contributed all of the vocals for a new studio album by Norwegain bass player Jan Holberg. 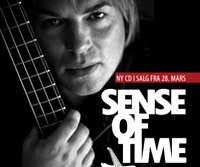 "Sense Of Time" has ten tracks and is due out on 28 March. Its release is followed by four live shows featuring Joe. 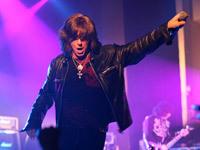 Joe Lynn Turner will be in Brazil in early 2011with Big Noize, including the return of ex Black Sabbath and Heaven & Hell drummer Vinny Appice. The band will be playing on a "Motorcycle Rock Cruise" which will be taking place between January 31 and February 2. Other artists appearing include Jeff Scott Soto, Hail( with Tim 'Ripper' Owens) and Sepultura. Over The Rainbow are due to play their first live dates since July 2010 when they head to Finland for three shows in October. Swedish Radio station P4 recently broadcast half an hour of Over The Rainbow's show at the "Sweden Rock Festival", Sölvesborg, Norje Havsbad from June 4th 2009.The tracks aired were: Man On The Silver Mountain / Street Of Dreams / I Surrender / Long Live Rock And Roll / Since You Been Gone. You can catch the show at sverigesradio.se. Scroll down the page, and click on the link "P4 Live med Bullit". The Over The Rainbow segement starts around 27 minutes into the programme. Joe Lynn Turner, Graham Bonnet and Doogie White are touring Japan in September as the 'The Voices Of Rainbow'. Turner will be playing with Japanese guitarist Akira Kajiyama's band, and Bonnet with his latest incarnation of Alcatrazz . White is listed as 'guest vocal' for the shows. The set list for Joe's May 28th performance at the Blackmore Rock Bar in São Paulo, Brazil was: Death Alley Driver / Perfect Strangers / I Surrender / Street of Dreams / Man on the Silver Mountain / King of Dreams / Endleslly / Jealous Lover / Can´t Let You Go / Blood Red Sky / Stone Cold / Can´t Happen Here / Stargazer / Highway Star / Spotlight Kid /Long Live Rock´n ´ Roll( including Lazy and Black Night). Encore: Gates of Babylon / Smoke on the Water / Burn. 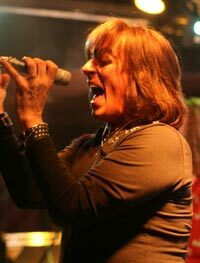 His band was : Joe Lynn Turner – Vocals / Andy Robbins – Bass / Garry King – Drums / Betovani – Guitar /Bruno Sá - Keyboards. While in Brazil Joe also appeared on the TV char show "Todo Seu" ( Glenn Hughes appeared on it last year) where he was interviewed, and also performed live acoustic versions of Stone Cold and Street of Dreams. The show can be found on YouTube: first part, second part. Over The Rainbow have lined up some European shows for 2010, including three Scandinavian festival dates in July. Blackmore's Night Official Scandinavian Fan Club website recently conducted an interview with Joe Lynn Turner and Bobby Rondinelli during's Over The Rainbow visit to Sweden, with questions supplied by visitors to the site. It is now avaialble to read online. The Goiania set list was: Highway Star / I Surrender / King of Dreams / Blood Red Sky / Street of Dreams / Divided / Stone Cold / Jealous Lover / Love Conquers All / Death Alley Driver / Love's Gone Wrong / Burn / Hush / Smoke on the Water / Perfect Strangers. MK#9002472, photo: Frans Van Arkel. Thanks to Lisa Walker and Albertino Viveiros. Tony Carey has left the Rainbow tribute act Over The Rainbow which will disappoint a lot of people interested to hear him live again. 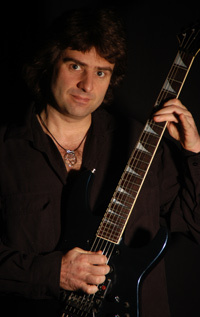 There has been a press statement onwww.melodicrock.com : "Carey wishes to make it clear that there were no personality issues or clashes involving any other members. Carey is and was dissatisfied with the management, and feels that too many errors were made; unfortunately, the management came with the package, being Joe Lynn Turner's people, and took over from the beginning. 'I wish the lads all the success in the world', says Carey." Only David Stone can save them now! TS#900248, photo: Frans Van Arkel. Over The Rainbow have lined up a Swedish festival date in June. Latterday Rainbow keyboardist Paul Morris will deputise for Tony Carey, who will miss the show after developing a gastrointestinal disorder that requires immediate treatment. Doctors have recommended that he refrain from touring and traveling for a short period of time. Thanks to Lisa Walker for the news. 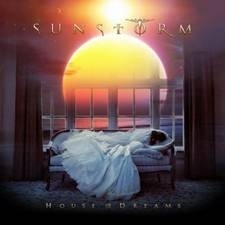 Joe Lynn Turner has announced the release for the second SUNSTORM album, House of Dreams, due out late April 2009. 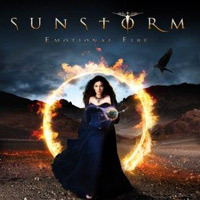 The first SUNSTORM album came out in 2006, and saw JLT blow the dust off a number of strong AOR songs. This follow up works along very similar lines, sticking very much to the melodic rock genre. House of Dreams can be pre-ordered at dpas online, and the original album is also in stock. 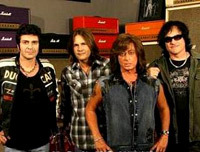 Big Noize, featuring Joe Lynn Turner, Carlos Cavazo, Vinnie Appice and Phil Soussan, have new song 'Battlefields' available as streaming audio from their site at www.myspace.com/abignoize. The song was performed during their recent shows in the Middle East.